Authors Patrick Gooding and Frank Ettensohn look at their new publication on black shales in the Appalachian and Illinois Basins. A new wall-size chart published by the Kentucky Geological Survey (KGS), a research unit of the University of Kentucky, shows how black shale formations in the Appalachian Basin of Eastern Kentucky are connected to similar shales in the Illinois Basin, which underlies parts of Western Kentucky, Indiana and Illinois. Black shales are found beneath almost 70 percent of Kentucky and are important for the oil and natural gas resources they contain. So tracing the presence of the shales in the Appalachian region, where more is known about them, to their Illinois Basin counterparts could be valuable for future resource exploration in the Illinois Basin. Thigpen suggests that river erosion may cause parts of the Earth's crust to move more quickly, resulting in large earthquakes far from plate boundaries, such as in Eastern Tennessee, where a 4.4 magnitude earthquake occurred just last week. Ryan Thigpen, an assistant professor in the Department of Earth and Environmental Sciences in the University of Kentucky College of Arts and Sciences, has co-authored a paper that describes how river erosion may lead to more earthquakes. The paper, which published this summer in the Journal of Geophysical Research, was featured in Scientific American this week. UK Has been recognized as a Tree Campus USA each year since 2012. "This is a very exciting time to be involved with sustainability at the University of Kentucky, and I am inspired by the work being done and opportunities being made possible by students, staff and faculty across our campus." Shane Tedder, UK’s sustainability coordinator, said. UK geology senior Adam Nolte explains his research on sinkholes in Woodford County to President Capilouto. The University of Kentucky was represented by 16 undergraduate students and their 14 research projects at the 17th annual Posters-at-the-Capitol event last week at the Kentucky State Capitol in Frankfort. Posters-at-the-Capitol is an annual event that showcases undergraduate researchers representing colleges and universities throughout Kentucky. The annual collaborative event was created to educate Kentucky state legislators of the importance of undergraduate research and scholarly work. Kentucky Gov. Matt Bevin, members of the General Assembly, representatives from students' hometowns and other guests toured the exhibitions and engaged directly with some of the state’s best young scholars. Kentucky’s middle school girls and their parents/guardians are invited to join us for the second annual Expanding Your Horizons Conference at the University of Kentucky campus on Saturday, April 21, 2018. This day of hands-on workshops will give middle school girls the chance to meet STEM role models and get exposure to opportunities in science, technology, engineering, and math. This is the second iteration of the conference, which is organized by members of the Colleges of Agriculture, Food, and Environment, the College of Arts & Sciences, and the College of Engineering. Last year, 18 percent of the University of Kentucky graduating class graduated with global experience. The university’s International Center has taken steps to increase that percentage. The UK International Center’s Education Abroad and Exchanges program (UK EA) recently announced a new 2018-19 scholarship and program fee reduction initiative for selected UK exchange partners around the world, ranging from $1,000-$5,000. UK students who participate in an exchange program have the opportunity to fully immerse themselves in the language and culture of a host university, city and country. They enroll in courses at the host institution for either a semester or an academic year and earn transfer credit, while still paying their regular tuition to UK. (Left to right) Dan Reedy, Karl Raitz, Dean Mark Kornbluh, Martha Rolingson, Charles Grizzle and Tom Spalding. The University of Kentucky College of Arts and Sciences celebrated its Hall of Fame Induction Ceremony on Friday, Oct. 6, at the Don & Cathy Jacobs Science Building. This year's Hall of Fame Induction Ceremony and Reception honored alumni Charlie Grizzle, Martha Rolingson and Tom Spalding, and College of Arts and Sciences faculty members Karl B. Raitz and Daniel R. Reedy. For more about each honoree, see their brief biographies below. Young visitors to the 2016 open house enjoy a virtual sandbox, provided by the UK Department of Mining Engineering. 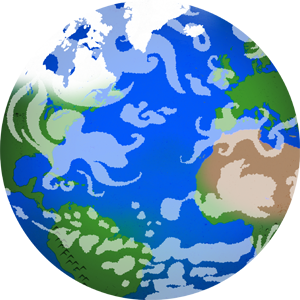 Earth Science Week will be observed nationwide Oct. 8-14, and the Kentucky Geological Survey (KGS) at the University of Kentucky will again promote the appreciation of earth sciences with an open house. Students, parents, teachers and others are invited to demonstrations and displays on a variety of natural science topics at the KGS open house. This year’s free public event is set for 6-8 p.m. Wednesday, Oct. 11, at the Mining and Mineral Resources Building, located at 504 Rose St. on the UK campus. The University of Kentucky Center for Applied Energy Research (UK CAER) received yet another federal grant to broaden its burgeoning rare earth element (REE) research and development portfolio. Funded by the U.S. Department of Energy, the $1.5 million project is titled “Rare-Earth Elements in US Coal-Based Resources: Sampling, Characterizations, and Round-Robin Inter-laboratory Study.” The grant represents a collaborative effort between the University of North Dakota’s Energy and Environmental Research Center (EERC), UK CAER and the Kentucky Geological Survey. Water, essential to health, to the economy and to the sustainability of the environment, can be impacted by any number of things, not the least is the climate. The University of Kentucky’s Water Week 2017, a week of films, panel discussions, invited speakers and service activities, will examine climate change impacts on water quality. A Project WET certification workshop aimed at K-12 teachers, cooperative extension agents and students who are studying to become teachers will kick off the week on Saturday, Oct. 7, at Raven Run Nature Sanctuary in Lexington. The University of Kentucky’s Igniting Research Collaborations (IRC) grant program has awarded nearly $300,000 in pilot grants to support cross-college interdisciplinary research and scholarship. IRC seeks to increase interdisciplinary scientific engagement and leverage the breadth of expertise across campus to tackle important health problems in the Commonwealth. UK is one of eight universities in the nation with the full range of undergraduate, graduate, professional, medical and agricultural programs on one campus, which creates distinct opportunities for collaborative research. The University of Kentucky has received two of three U.S. Department of Energy (DOE) grants for its promising work in the emerging field of rare earth element (REE) research. DOE’s Office of Fossil Energy recently announced that the three projects have been selected to receive approximately $3 million for research aimed at producing salable rare earth elements from domestic coal and coal by-products. UK’s Department of Mining Engineering is a partner on one of those projects while UK’s Center for Applied Energy Research (CAER) is a partner on another project. Allan Butterfield, Alumni Association Endowed Professor of Biological Chemistry; Andrea Erhardt, assistant professor of earth and environmental sciences; Bruce Webb, professor of entomology; and David Weisrock, associate professor of biology, will gather for a lively discussion at noon in the UK Athletics Auditorium of the William T. Young Library. A University of Kentucky geophysicist is helping an international team of scientists reveal dramatic new information about the Earth’s magnetic field.